These companies frames are heavy gauged , well painted and strong enough to take the re-slinging process. These brands frames can easily last through 2 to 3 sets of slings in their lifetime. 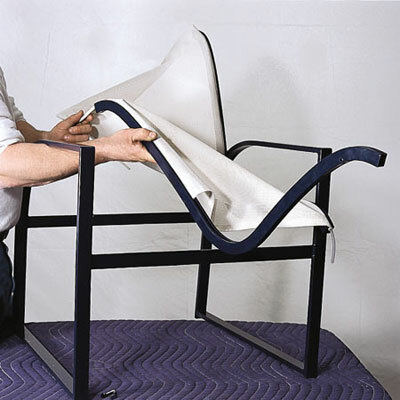 If the chairs you are needing slings for are less expensive mass merchant offshore imports , it most likely wont be worth trying to resling them . email a picture and your sizing measurements following these instructions http://www.gocasual.ca/sling-measuring.html to slings@gocasual.ca and we can quote your project .We cannot make slings for offshore brands sold through most mass merchants such as Zellers , Sears , Hudsons Bay, Dot etc. *Custom slings are non refundable . *Some people do become frustrated doing their own slings Some mechanical aptitude is required. *We do not manufacture slings for the less expensive offshore products These items in most cases do not re-assemble properly or break when being handled through the installation process and is not worth the risk to us or the customer to make custom slings.